Bachelor of Science, Animal Science, Univ. of Calif. Davis. Graduate studies at Univ. of Calif. Davis in Comparative Anatomy and Agricultural Education 1982 to 1984. 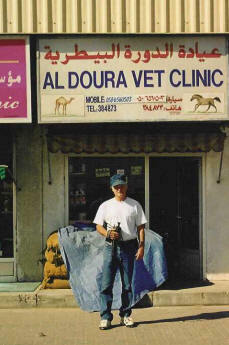 Self employed farrier 1971 to present. Staff Farrier for UC Davis Vet. Med. Teach. Hosp. Sept. 1986 to Sept 2000. American Farriers Assoc., Certified Journeyman Farrier 1986, Approved Tester 1987. Calif. Horse Racing Board Licensed Plater #220757, 1990. U. S. Patent # 5172766 for new horseshoe design 1990. Founder and President of Equithotics Incorporated 1990. 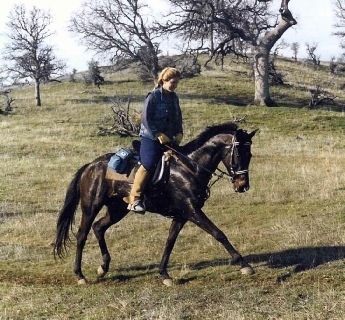 Farrier for USET World Endurance Team 1996 and 1998. Farrier and Instructor of Farrier Science at UC Davis Vet. Med. Teach. Hosp., 1986 to 2000. Guest lecturer for Animal Science Dept. Horse Production Course, UC Davis, 1986 to present. Lecturer for UC Davis Animal Science Dept. Horse Day Symposium, 1986, 1988 through 2008. Instructor for the California Universities Equine Sciences Consortium course on the Equine Foot and Leg, Oct. ‘94 through Mar. ’95. Lecturer and clinician for the annual meeting of the Mexican Equine Practitioners Assoc. (AMVEE) 1994, 1995. Advisor and Instructor for the Guatemalan Olympic Equestrian Federation, 1994, 1995.Lecturer for UC Davis Animal Science Dept, Animal Science 149,149l Basic Farrier Science 1996 to present. Treating Canker in a Warmblood, American Farriers Journal, vol. 22, no. 4, Jul/Aug. 1996, pp. 68-69. Name That Shoe! : Modified Patten Bar shoe, American Farriers Journal, vol. 21, no. 1, Jan/Feb 1995, pp.58. Updated Fetlock Brace Shoe, Anvil Magazine, vol.00 no. 00, May 1990, pp. 21-26. Fetlock Brace, Anvil Magazine, vol. 13, no. 4, Apr. 1988, pp. 23-29. Building Better Hoof Wall, Anvil Magazine, the Morgan Horse, vol. XLIX no. 10, Oct. 1989, pp. 109-110., Pacific Coast Journal, vol. 26, no. 12, Dec. 1989, pp. 63-65.